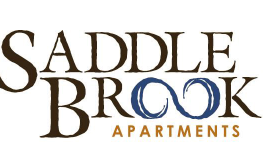 Welcome back to the Saddle Brook Blog. Last time we shared some ideas for summer grilling. We hope you’ve done some grilling this summer. Today we’re moving it from the grills to the kitchen with awesome ideas for organizing your cupboard/pantry space in your apartment. A pantry doesn’t have to be a separate room off the kitchen like it was hundreds of years ago, it can simply be the way you set up your kitchen’s storage areas and what staples you keep on hand. While there are a myriad of ways to set up and organize your kitchen, one of the most convenient ways is to do it with centers. For example, if you spend a lot of time baking, create a baking center where you store all the things you routinely use for baking. Other centers you may want to consider creating could be a snack center, a breakfast center, or even a drink center. Store seldom-used, lightweight items on the upper shelves, and store heavier items on the lower shelves. Reserve the mid-level shelving for items you use regularly. Invest in some uniformly shaped/sized containers. They will stack more easily and give you more bang for your storage-space buck. Label your containers for easy identification. Store your dishes near the dishwasher or the table to save time getting to them when it’s time to clear up or set the table. Make sure your apartment kitchen is always stocked. Budget each month for restocking your pantry. That way, you will be able to take advantage when items you use all the time go on sale, and you won’t run out. Kitchn has a great list of items you should keep in your kitchen. When you’ve got all the essentials, you’ll be able to cook and bake without having to run to the store at the last minute to buy necessary ingredients for dinner. Rotate your food items, using the oldest first. Keep track of what you need to pick up at the grocery store by using one of these handy apps. We especially like the Out of Milk app (available for both Android and iOS) because with it you can include an ongoing home pantry list. Where is your favorite place to shop in the Pewaukee, WI area? Do you use any apps to keep track of your pantry? If so, please share in the comments! Thanks for reading today.